Blast from the past is a weekly feature at Lifehacker in which we revive old, but still relevant, posts for your reading and hacking pleasure. This week, we’re revisiting some ways to make that tablet more productive. 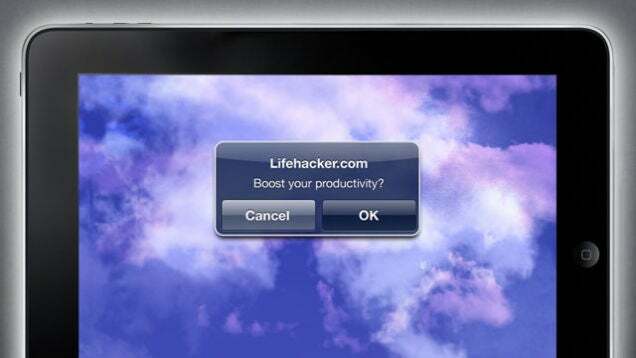 We’ve argued why tablets are actually great productivity tools and how they’re great for offloading distractions, but never how you can actually optimize your iPad or Android tablet to boost your productivity. Your tablet is really great for grabbing quick, commonly used information whether it’s pre-defined in your calendar or dynamically updating online. In this guide we’re going to look at how you can use a few apps to offload simple tasks to your tablet to clear out the clutter on your desktop and free it up to handle your bigger daily tasks. 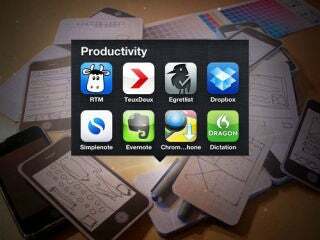 For the most part, you already have a lot of the apps you’re going to need for keep you productive. Your calendar, email, address book, clock/timer, and calculator are all useful utilities you may want to have at the ready. These are all great apps for quickly checking information, setting an alarm, or whatever, but those apps are only so helpful. There is much more you can do. Here are a few suggestions. Simplenote (iOS) or FlickNote (Android) are must-have apps if you keep a lot of plain text notes. While you’re probably typing them on your computer, when you’re doing work it can be helpful to have a particular note by your side for reference purposes. While you could look at a separate window on desktop, this eats up screen real estate. Bringing up the note on your tablet can keep your screen focused while still providing the reference information you need. If you’re handling lots of spreadsheets and other office-type documents, you may want to pick up an office suite for iOS or Android as well. Dropbox (iOS / Android) is very helpful if you use the service to sync your files across computers (or just store them in the cloud). If you use a different service, just get their app instead. Many apps have Dropbox integration nowadays, however, so it’s become a great way to get your files on your device. The Dropbox app itself is handy, but apps that support Dropbox natively can grab files a lot faster. Either way, some sort of easy access to your files is vital if you need to bring anything up on your tablet quickly so you can look at it for reference as you work. Skype (iOS / Android), or any VOIP application, can essentially turn your tablet into a phone. When you need to make quick calls it’s often a lot easier to just tap a name on your screen. You also have the advantage of Wi-Fi, which is a bit more stable than a cellular connection. While I use my phone to make calls on the go, Skype has been immensely helpful in keeping me connected when I’m working. Calls don’t drop and the connection is always significantly more clear. It’s also really easy to respond to incoming calls quickly when my tablet’s big screen is propped up and easy to access. A lot of the work we do nowadays is online, and even if not there are plenty of sites that offer useful information and tools to aid us in our work. Whether it’s your company wiki, a project management tool, or just a helpful web site you can add them as bookmarks for super-quick access. If you don’t know how to do this on your iPad, just read these instructions (or watch the video to the left). Android can add bookmarks and other shortcuts for things like quick driving directions, by simply tapping and holding on an empty part of the home screen. This will provide you with options to add the shortcut you want. The shortcuts you’ll need will depend on you, but chances are you’ll have a few and things will start getting cluttered along with all the apps. To solve that problem, just move on to step three. Tablets were designed to be consumption devices, for the most part, so it’s easy to get distracted when you have a bunch of games staring back at you from a beautiful, glossy screen. Additionally, if you mix your productivity apps in with everything else you’ll have a hard time locating the app that you need. For these reasons, it’s helpful to have an entire page on your home screen dedicated to getting things done. This way you can flick over to that page during the work day and flick back when you’re done. Create a top row of apps you use most often so they’re in the first place you look. Create a second row of commonly-used apps if you need to. You may not have that many apps to launch so don’t worry if you don’t. Create a third row of bookmarks to sites you visit frequently for quicker access. If you have a lot, sort them with folders. 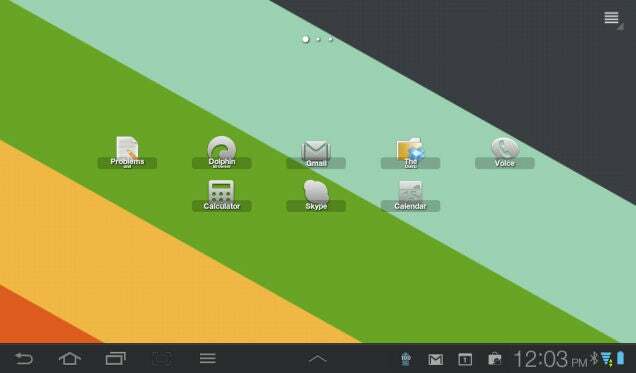 Android users who are utilizing a home screen replacement app like ADWLauncher EX can also create shortcuts to Gmail labels, notes, and other items for quicker access. Obviously iPad users are a little more limited in the kind of organization they can do, so sometimes a multi-folder structure will work best. Only you’re going to know what’s best for you, but an organization scheme that prioritizes usage frequency should work well for most people. While most of this guide concentrates on using apps and bookmarks/shortcuts to quickly grab useful information as you need it, sometimes you’re going to need to quickly pull up a web site, an image, or some other information that isn’t already bookmarked. There are lots of ways to do this, but Pushbullet is our favorite solution, allowing you to easily send links and files between your devices, plus a lot more. Of course, when the time calls for it, you can just use your tablet as a true second display for your computer, too. We like Air Display best for this, and it works on Windows, OS X, Android, and iOS. You can also turn your iPad into a keyboard shortcut machine or use it as a remote control for your computer, which can come in pretty handy. At the end of the day, productivity is all about how you use the tools at your disposal to make your work easier. Even if you use your tablet primarily for Netflix and comic books, it’s a great place to offload certain tasks so you can focus and get through your work in a breeze.